Lauren provides counsel to special taxing districts on matters relating to contracts, real property, public procurement, open meetings, construction, and financing. 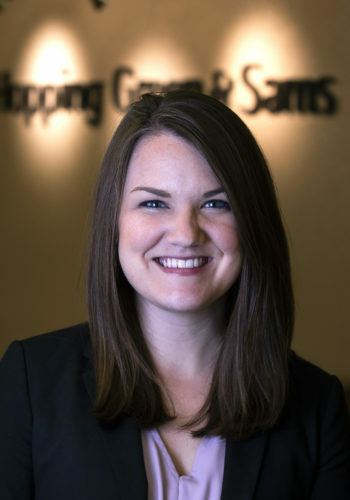 Lauren’s prior experience includes working as a federal judicial clerk in the Middle District of Florida, Jacksonville Division. In her free time, Lauren enjoys travelling, painting, and spending time with friends and family. Represents special districts in matters relating to contracting, real property, public procurement, ethics, finance, and construction. Former judicial clerk to United States Magistrate Judge Patricia D. Barksdale (2015-2017). Former intern to Historic England’s Planning Department and Legal Team (2018). In this role, Lauren worked with Historic England staff to create a database of planning board appeal decisions involving historic properties and advise local governments, property owners, and developers on planning and permitting requirements.